In a small house in South London, five executives of the high-end fashion retailerMatchesFashion.com sat around an oval conference table, discussing a coming event. From outside, the house looked like any sweet two-story London cottage, with a cobblestone courtyard and small balcony, but inside, it was all white and open plan — more Silicon Valley than Staffordshire. The topic under discussion that July day was the introduction of a new line by Luella Bartley and Katie Hillier, two hip British designers, at London Fashion Week, and how MatchesFashion.com would promote it. The conversation touched on mainstream news coverage, but it mostly covered how to attract fashion bloggers and which social media platforms to exploit. The subject of Periscope came up. “What is Periscope?” asked a sandy-haired man, sitting at one end of the table. That was Tom Chapman, who, along with his wife, Ruth, a tall, graceful woman with shoulder-length white hair who was sitting at the other end of the table, founded MatchesFashion 28 years ago as a single high-end, multibrand boutique in Wimbledon. They were trailblazers, becoming the first such retailer in Britain to sell Prada, Versace, Ferré and Dolce & Gabbana. Now Mr. and Mrs. Chapman, 52 and 53, again find themselves bushwhacking in uncharted terrain: They are among a handful of retailers in the luxury sector proactively managing the transition to online sales. These days, they are confronted as often with the rapidly shifting trends in the digital world as with the latest season’s colors or silhouettes. “Bloggers love it,” said Jess Christie, the global communications director. “Is it new?” Mr. Chapman ventured, with an apologetic grimace. At this, Mrs. Chapman smiled gently and glanced expectantly over at Ulric Jerome, 37, the company’s recently appointed chief executive, former chief operating officer and overall tech guru. He nodded encouragingly back at the two founders. He had heard these sorts of questions before. The Chapmans, though not old, are old school: They believe in the primacy of the customer experience, in service, and in the allure of an aesthetic point of view. They believe in touch, and talk. They also, however, have come to believe that the future of their business and a route to global expansion lie online, and they had the self-awareness to recognize they needed help to make that work. So in 2013, they hired Mr. Jerome, a co-founder of Pixmania, a consumer goods e-commerce site based in Paris, with the mandate that he reshape the digital operation for the future — which effectively meant reshaping the entire company. To test the Chapmans’ commitment, he suggested renaming the brand, then called Matches, after its website. From there, there would be no going back. Today even the company’s physical stores now bear the name “MatchesFashion.com” on their windows. If the new name is a little unwieldy, it is also a signal of the company’s evolution from a local bricks-and-mortar retailer with a small e-commerce operation into a global specialty luxury e-commerce operation — with a small bricks-and-mortar presence. This year, 85 percent of the company’s projected $200 million in revenue will come from online sales. Seventy-two percent of that revenue will come from overseas. But in an age when consumers are accustomed to buying whatever they want on their laptops and phones, another shop, even on the most elegant boulevard, can’t come close to the global reach of a shop on the web. In recognition of this reality, in July Mr. and Mrs. Chapman moved aside to become co-executive chairmen, and named Mr. Jerome C.E.O. 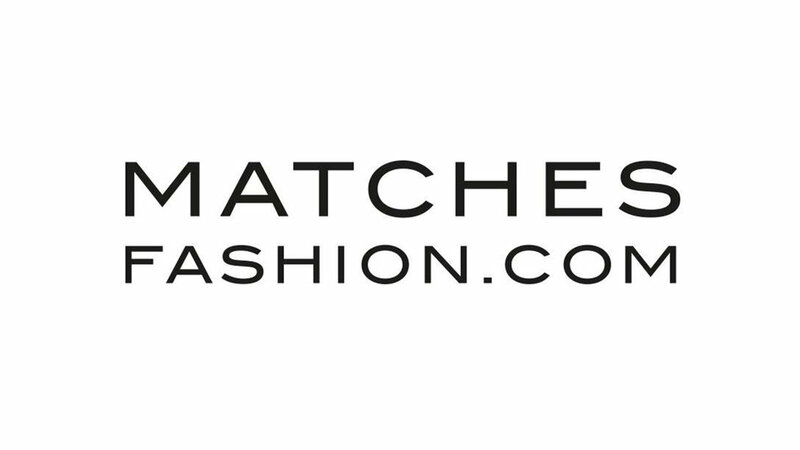 of MatchesFashion.com. A technology entrepreneur, Mr. Jerome now sits at the top of a heritage luxury retailer, managing its growth in a careful equilibrium with the guardians of its fashion sensibility. Since Mr. Jerome’s arrival two years ago, the name is not the only thing that has changed at MatchesFashion.com. Instead of art on his office walls there are computer screens that display rapid updates on the company’s business in 20 countries: sales figures, number of orders, comparables from the day, week and year earlier. He increased the “traffic acquisition” team to 25 from three people and put them outside his office door. And while his dream to provide free food within 15 feet of every person — something he had seen on a tour of Google — was not exactly within the budget, he managed to provide free Coco Pops and Fruit ’n Fibre cereal near the refrigerator. The Coco Pops are not a bad symbol for how far the company’s ambitions have come — and how far they still have to go. MatchesFashion sells 50,000 style options by over 400 designers, and the average customer spends 430 pounds per order, about $670 — compared with less than £100 for the more mass-focused British fashion e-retailer Asos.com. The company ships to 176 countries, with the United States its second-biggest single market after Britain. Rumors were rife in May that the Chapmans were talking to Morgan Stanley about a potential stock market listing, but Mr. Chapman and Mr. Jerome deny any plans to go public — at least in the next four to five years. Luxury brands, leery of ceding control over the interaction between consumer and brand, and convinced of the primacy of touch as a selling tool, have been slow to accept the Internet. It was only in 2012 that Kering, owner of Gucci, Alexander McQueen, Balenciaga and Yves Saint Laurent, among other names, formed a joint venture with the Yoox Group to build and manage the websites of several of its brands, an acknowledgment that they did not have the necessary in-house expertise. Chanel announced it was exploring the idea of selling its handbags online for the first time just this spring. But as luxury companies are increasingly forced to acknowledge e-commerce as a driver of sales — it is projected to grow 20 to 25 percent over the next five years, according to the Boston Consulting Group, while the industry as a whole is growing at only 3 to 4 percent a year — digital transformation, still relatively rare in fashion, is going to become more common. “We expect an entirely new luxury world by 2020,” said Marco Pozzi, senior adviser for ContactLab, a digital market research firm. Mr. Jerome, who ricochets around the office from meeting to meeting like a caffeinated pool ball, has the same trouble. It is one of the few obvious qualities they share. Mr. Chapman grew up in Wimbledon, Mr. Jerome in Paris. Mr. Chapman’s style tends toward luxe casual Friday — relaxed trousers, V-neck sweaters — while Mr. Jerome wears sharp suits, pressed white shirts and often Tod’s loafers with no socks (though both favor Lanvin). Mr. Jerome has a folder labeled “competition” on his iPhone browser with rival websites that he checks obsessively; Mr. Chapman is frequently scanning art auction sites on his device. Yet together they have created a new in-house vernacular. Craftsmen, in MatchesFashion lingo, include software developers, as well as those who cut leather or stitch seams. This is a way of acknowledging, Mr. Chapman said, that technology is not about just facilitating, but creating. Since then, according to Mr. Chapman, the work force has doubled to 400 from 200, and the company has rebuilt every piece of its technical structure. Until Mr. Jerome came aboard, MatchesFashion technology was something of a “spaghetti junction of different solutions,” Mr. Chapman admitted. These changes have not always gone over easily. To succeed in luxury online commerce means creating a luxurious virtual experience. At MatchesFashion, an entire building is devoted to a photo studio/styling area where products come in, are measured and are then remeasured in multiple ways in an effort to reduce returns. The items are photographed and the images uploaded onto the minimally elegant shopping site. About 300 new products are added to the site every Monday, Wednesday and Friday, a total of up to 1,000 a week. Next-day delivery to Europe and two-day delivery to the East Coast of the United States are possible thanks to a special arrangement with DHL. Each morning at 9:45 a “Just In” email goes out to registered users about new products. The risk, of course, is that MatchesFashion tilts too far in one direction — that luxury retailing, a business built on relationships with designers and customers, becomes simply about numbers (Mr. Jerome talks more about “feeling the numbers” than, say, “feeling the fabric”) and loses the vision that links the identity of a brand to the identity of the people who shop there. “The opportunity to define digital leadership in luxury has yet to be realized,” said William Hutchings, chief European luxury goods analyst for Goldman Sachs. Whether all the changes MatchesFashion has undergone have effectively positioned it to seize the moment is the question.